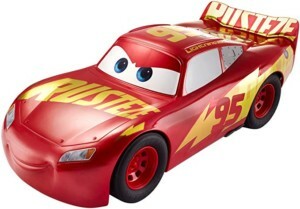 With Gear Up Lightning McQueen, you are free to customize your very own version of the loveable character! 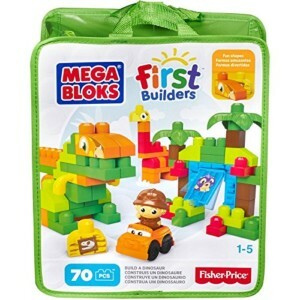 Mix and match the pieces to invent a version that’s all their own! 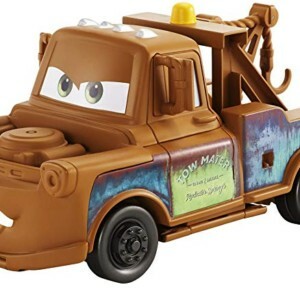 Easily switch and swap bumpers, side panels, and other accessories to change his expression and create a whole new look. 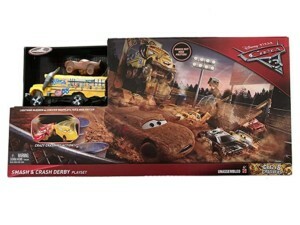 Includes 1 large-scale Lightning McQueen and assorted components. 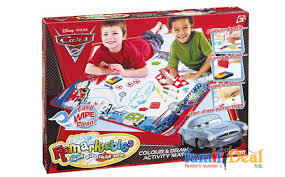 This 10 car gift pack brings key characters together for the ultimate push around and story play. Each 1:55 scale die-cast vehicle features authentic body styling, iconic paint and big personality details. Start your new movie collection or put the vehicles on display. 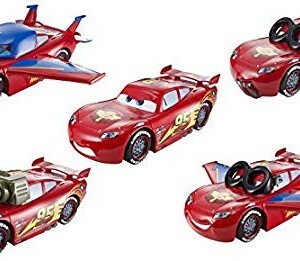 With Lightning McQueen, Cruz Ramirez and 8 other characters to racer together. Fill ‘er up. 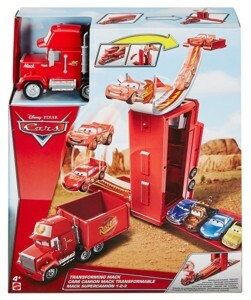 Get ready to race and bring Disney’s Cars 2 movie to life with the Gas Up & Go Guido and Lightning McQueen Car Playset. 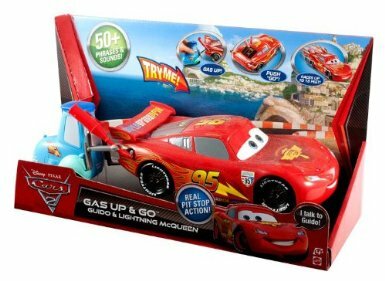 Help Guido get Lightning McQueen fuelled up for his next race. 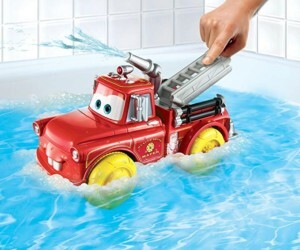 The more gas pumped from Guido’s gas can, the faster McQueen goes–watch his wheels spin. 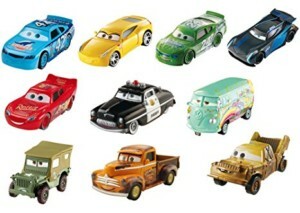 Lightning McQueen has more than 50 sounds and phrases. 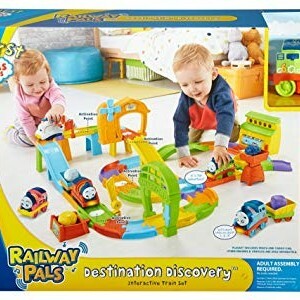 This playset is suitable for ages 4 and up and comes with 3 x ‘AA’ size batteries.